It is with profound sadness that we inform you that Ray Tackett passed away yesterday, Thursday, April 18. He was home with his wife, Norma. We will post additional information as it becomes available on this website and our Facebook Page. Visitation services for Ray will be held at the Dorr and Clark Funeral Home in Falls City, Nebraska from 6 - 7 p.m. on Monday, April 22. The funeral service is scheduled for 10:30 on Tuesday morning. 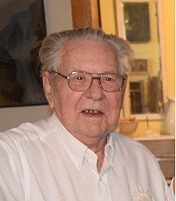 Additional information, including Ray's full obituary, may be found at https://www.dorrandclark.com/notices/Raymond-Tackett. Ray and his wife Norma founded the Sparks Antique Show and Flea Market nearly 40 years ago, and retired in the Spring of 2018. While our sympathy is extended to our neighbors throughout northeast Kansas and northwest Missouri over the losses they suffered during the floods earlier this year, we are very pleased to report that Sparks was not flooded. Although flooding did occur east of us along Highway 36, those roads have now opened. Access from St. Joseph, Atchison and points west along Highway 36 are now open to Highway 7 North to Sparks. 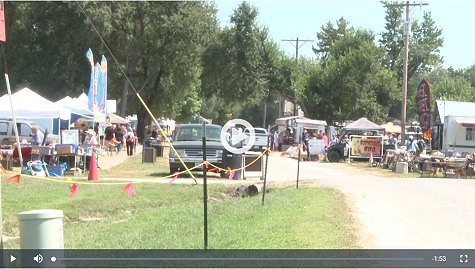 Booths open between 7 and 8 a.m. and close by 6 p.m.
Sparks Antiques and Collectibles Flea Market, held twice a year in Sparks, Kansas. Thursday is the first day of the show. 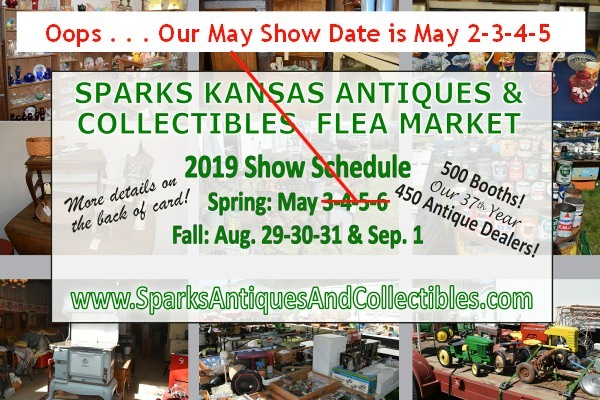 Make your trip to the Sparks Antiques and Collectibles Flea Market a week-long vacation and enjoy the many interesting sites in northwest Missouri and northeast Kansas. 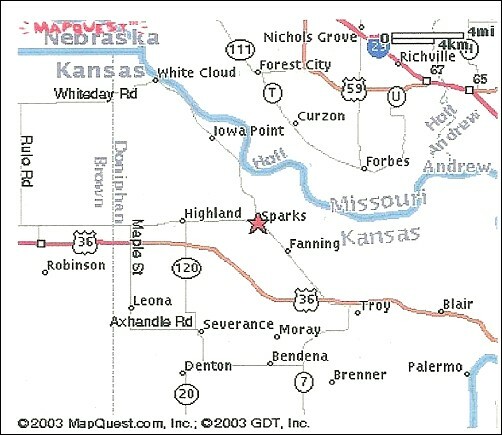 Sparks is surrounded by history and is just miles from the home of the Pony Express and the house where Jesse James was killed. And, if hitting the antique shops and malls is your interest, you'll find plenty. Visit our photo gallery of more than 300 images of recent shows. Sparks Antiques and Collectibles Flea Market features more than 500 dealers. From this number, 450 sell antiques. If you are searching for the right antiques and collectibles, this is definitely the market for you. Started in 1982, this market is strategically located because it is right in the path of several other markets along the way, which are held the same weekend. Together they draw 75,000 people looking for treasures. When touring this market, there is plenty of food available either at the market or around the area. There are 16 food vendors serving Mexican, German, Indian and barbecue. Of course, there are still the favorites - like hot dogs, hamburgers and tenderloins that are out of this planet. Facilities are limited in the immediate area of the Sparks Antiques and Collectibles Flea Market. Most guests find accommodations in St. Joseph, Missouri or Atchison, Kansas. There are two campgrounds here at the market that hold a total of 50 campers. However, they are not full hook ups -- only electricity. Water and sewer hook ups are not available. These sites are often full during the market and many of the sites do not allow you to leave until the market is over. There may be other campground locations in the area, but we do not have a contact list for them. There is a variety of parking in and around the market. The Sparks Antiques and Collectibles Flea Market maintains a 4 acre parking area inside the market. Caution: The Kansas Highway Patrol does patrol the major highways intersecting the market. Obey the parking regulations on the paved highways. received 45 days before each show. Vendors will find a variety of opportunities to present their products to one of the largest antique and collectibles markets in the Midwest. 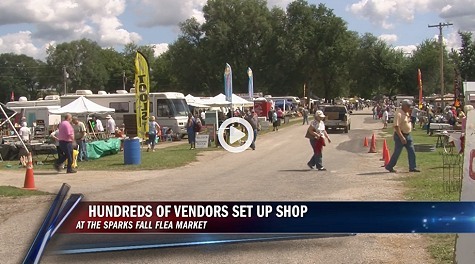 In addition to open area sites where you can pitch your own tent or park a truck*, the Sparks Antiques and Collectibles Flea Market, has a variety of covered areas including trailers, houses, barns and sheds where you can set up your booth during the show. *Many sites do not allow for you to move your vehicle in and out during the show. If you desire a site that would allow you to come and go with your vehicle, please let us know on your application. If you call to reserve a space, Payment and Registration Form for the show must be received within 10 days or your reservation will be canceled. You must make a deposit at the preceding show and make full payment 45 days before the next show or you will lose your space. Sparks Antiques and Collectibles market? Send us a link so we can share it with our viewers.